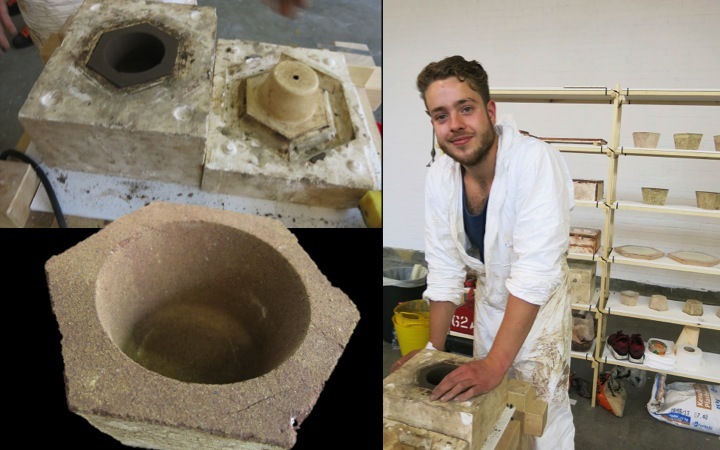 Oscar Medley-Whitfield creates pottery from Thames mud. Based beside the river in SE1, he calls his creations Wharfeware. There are many problems associated with using mud rather than clay. The drying out and tempering process makes the mud crack and it can’t be modelled and manipulated like clay. Oscar has created his own casting process, which is somewhat time consuming and complicated, but the resulting pots are totally individual in their imperfections. These are definitely not for the dishwasher. The use of local raw materials will become more important than perfection. It’s not just low interest rates we share in common with the Japanese… Watch out for an increasing Western fascination with wabi-sabi. 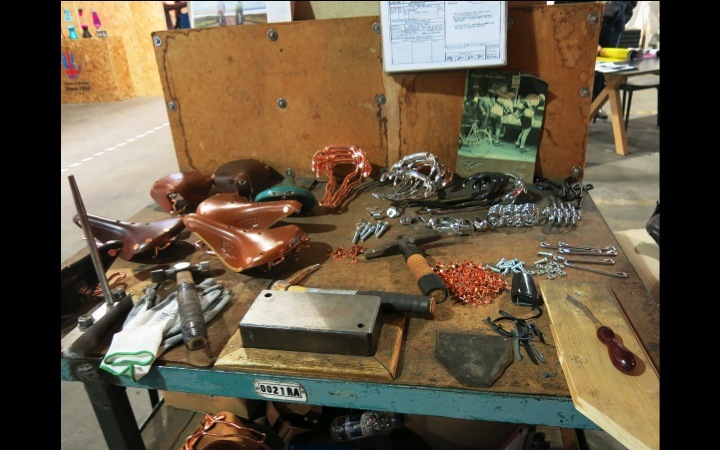 The bench below belongs to Brooks bicycle saddles. We increasingly want to see how things are made – it gives us a better appreciation of craftsmanship. 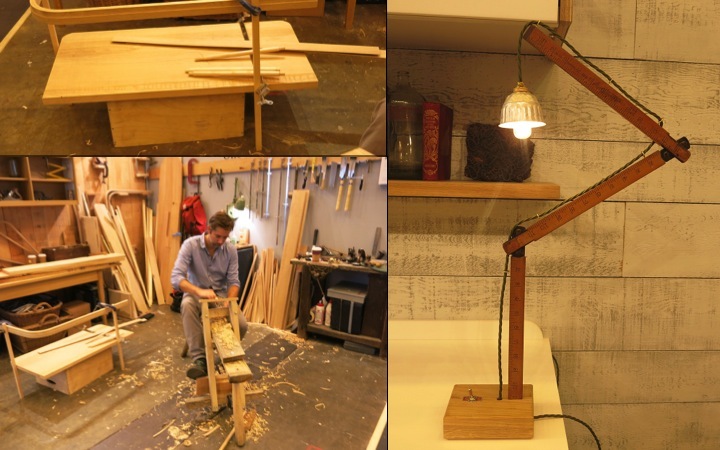 In the new age of the designer-maker, craftspeople will become local heroes. They cannot only make and mend things, but they can repair and recycle used and out of date products. 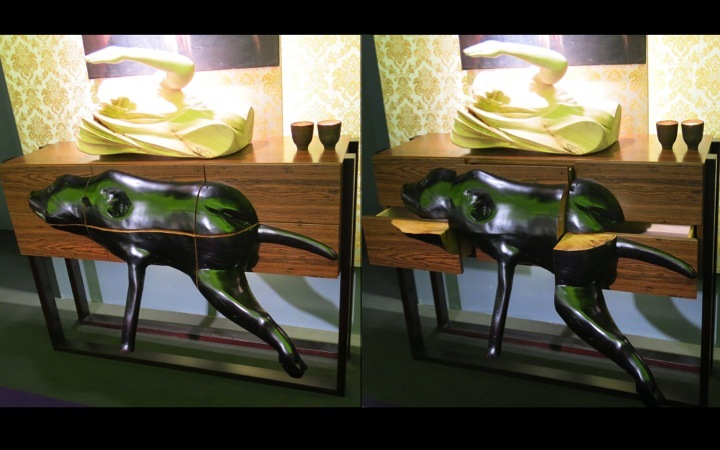 Ben Creed – aka “One Man and a Bench”– combines contemporary British design with traditional British Craftsmanship. ‘Using only his imagination, a few sketches (probably done last night) and his beloved hand tools, Ben can create something beautiful out of wood, metal or fabric.” Ben is a former textiles designer who has worked for the last 15 years for British designer makers deVOL, creator of the award winning Air Kitchen. 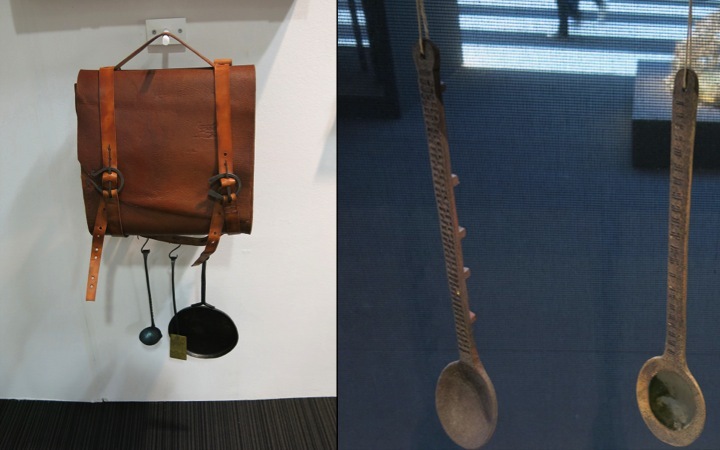 And this Louise Pettersen tool belt (below left), and spoons by Gadzac Jean (below right). 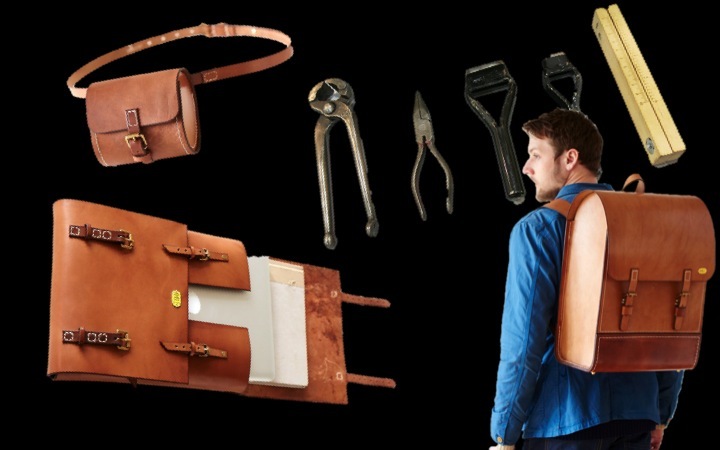 Tool belts, quilted waistcoats and opalescent lining will feature in men’s apparel. As will sombre shades, like blacks, greys, browns and purples, together with the murreys and sanguines of Elizabethan times. 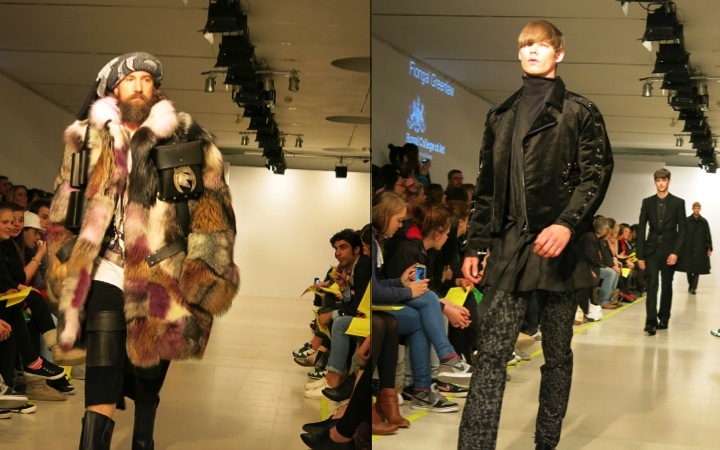 Liam Hodges’ model channels Henry VIII (below left) and Fiongal Greenlaw (below right) looks to Sir Walter Raleigh for inspiration. 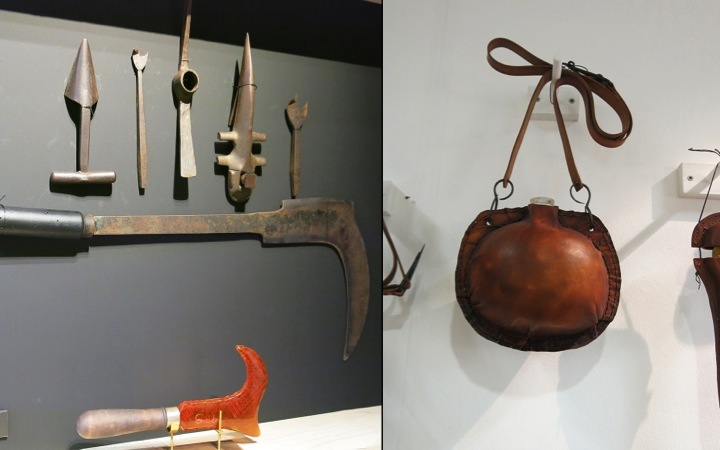 Tools and craftsmanship for the future have their roots firmly implanted in the past. Reproduced from our first Visuology presentation (issue 2 of the magazine will be out very shortly – watch this space).